As we have discussed in numerous posts here, there are many ways of providing financial support to charitable organizations. Most of us give money directly to the charities performing the charitable mission that interests us. Some make use of donor advised funds while other choose charitable trusts. One form of charitable trust involves the donor giving money to a charitable trust administered by a trustee who is not related to the donor. Another form involves a trust administered directly by the donor. This latter type of legal entity is known as a private foundation. Money is donated by the donor into their own private foundation, which then (usually at some point in the future) distributes the funds to charitable organizations selected by the foundation’s original donor/trustee. These entities are subject to specific IRS regulations governing the amounts that must annually be distributed out to charitable organizations performing charitable works. Donald Trump and the Clintons have established private foundations. The Clintons have also established a public charity—the Bill, Hillary and Chelsea Clinton Foundation. This charity is not the subject of this blog. The Clinton private foundation is the Clinton Family Foundation. These multiple Clinton entities can be confusing. In most cases, the funds going into private foundations comes from the wealthy people who have established the foundations. However, it is not unusual that others also donate to these private foundations. This point is important and I will come back to it a little later. Celebrities and sports figures frequently create private foundations because they want to enhance their images by donating to charity and supporting the communities in which they live and work. By creating a private foundation, however, these wealthy people can make one charitable gift per year (to their private foundation) and then make multiple distributions from the foundation as they are asked for donations or choose to support one cause or another. The private foundation provides the wealthy athlete or celebrity with a means of managing the stress of frequent requests for financial support. It is a fact of life that then your wealth is public information, requests for financial support will arrive at your door on a regular basis. But when you have a private foundation, you can respond to all requests for funds by referring the requesting charity to your foundation, “which evaluates all funding requests in an orderly manner.” You never have to say “no” to anyone. Your foundation, on the other hand, may deny a funding request for any number of good reasons but assure the requesting charity that they should apply for funding again in the future. This makes the funding denial much less personal than a refusal from the wealthy individual himself or herself. In addition, because athletes and celebrities are frequently asked to attend special events, speak at business meetings, etc., they need a way to limit this drain on their time and energy. It is not possible to respond positively to all requests, and charging a fee to do so is not looked upon favorably, although a fee requirement does serve to weed out the serious requests from the non-serious. The person with a private foundation, however, can ask that the organization requesting their time make a donation to that person’s charitable foundation. This makes the request for money less personal, still functions to separate the serious requests from the others, and also provides the athlete or celebrity with funds to donate to charity later. It is a win/win for the individual: They have not said “no” to the invitation; they have not asked for money for themselves, which is important since they clearly make more than a sufficient amount via their careers; and they increase the funds available to give away themselves at a later time, further burnishing their public image. When a person’s private foundation provides financial support to a charity, does that constitute a donation from that person? Technically not, as it is coming from the foundation. But if that person is the one who financed the foundation, then the donation is, indeed, coming from them, although indirectly. Finally, back to the news articles about Trump and Clinton. Trump is criticized for saying he personally made charitable contributions when an investigation reflects that the charitable donations were paid out of his private foundation and much of the funding in his private foundation came from others. I don’t see a big problem with this, based on my analysis above. Trump’s private foundation donated to numerous charities connected to his reality show, The Celebrity Apprentice. During the show, Trump promised special donations to contestants’ favorite charities. NBC donated $500,000 to Trump’s private foundation and was also the network carrying the program. Do you think that NBC actually made a “donation,” or do you think this was money that was due to Trump himself in connection with the success of the show? Does it make any difference that the money went directly to the foundation rather than passing through Trump as compensation? If he received it as compensation and then donated it to his private foundation, the income tax result would be the same. I give Trump credit for these contributions. Clinton’s charitable world is more complex and confusing. On her joint tax returns with Bill, they provide the amount of their annual giving to the Clinton Family Foundation—a private foundation for Bill and Hillary. But where does the Clinton Family Foundation money go? Inside Philanthropy has looked at this question closely and found that grants have gone to many nonprofits, but that the biggest chunk of money has gone to the Bill, Hillary and Chelsea Clinton Foundation, a public charity. This is the entity that was begun in 1997; after Bill Clinton left the White House in 2000, it served as the chief vehicle for his post-presidential ambitions. After Hillary left her position as Secretary of State, it also served to promote her ambitions. This charity has also received funding from the world’s richest and most powerful people, corporations and foreign governments and operates with a significant amount of controversy, too complex to get into here. Private foundations are increasingly common among the wealthy public. In this case, the activities of the Trump foundation are more easily understood than the layers of multiple entities established by the Clintons. 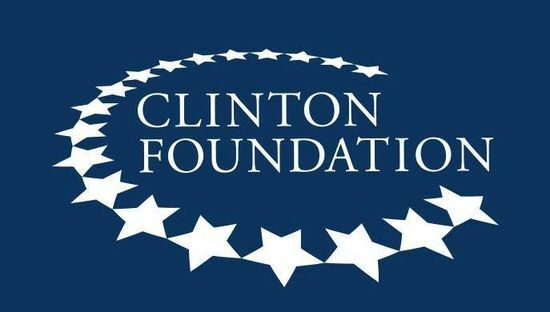 Further complicating the situation is a lack of explanation about the various Clinton foundations coming from the Clinton family. One reality, however, is that charitable giving may not a suitable criterion for deciding your presidential vote.